So Google may enter the tablet fray directly by marketing its own Android challenger to the iPad while also licensing the OS to hardware partners. What makes it likely to succeed, after its Nexus phones online experiment failed? Reports say Google plans to launch its own 7-inch $200 tablet and sell it to consumers through an online store, alongside other co-branded tablets from Samsung and Asus. It's a plausible plan. Google’s acquisition of Motorola allows it to not only design but also manufacture its own phones and tablets. But since the Motorola deal isn't final, Google went elsewhere to build a competitive tablet that could rival not only iPad but also Amazon's Kindle Fire, according to a report this week from DigiTimes. In a short few months, Amazon has sold more than 3 million Kindle Fires, placing it as the number two tablet. The 7-inch Fire’s main advantage is pricing: for the price of an iPad, you can buy a couple of Kindles and still have $100 left – though the performance and features of the smaller tablet are no match to the iPad 2, let alone the new iPad -- it has no cameras, microphone, only 8GB of built-in storage and an aging dual-core processor. Google is reportedly also aiming for the $200 sweet spot by building a 7-inch tablet with Asus, set to launch some time in the third quarter. But making the tablet is only half of the job, so Google needs a strategy to get it into as many people’s hands as possible. This, according to a follow-up Wall Street Journal report, will be done via a dedicated online store for tablets from Google. The Google tablet store will sell not only its own 7-inch $200 tablet, but also other Android slates from partners such as Samsung and Asus. One could speculate the online store will open with the launch of Google's tablet, which logically would run the next version of Android, Jelly Bean, expected in late summer. Does this strategy sound familiar? 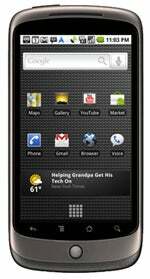 Yes, it's the Nexus One strategy revisited.In 2010 the Google-branded Nexus One was manufactured by HTC and then scrapped after a few months because the model of selling unsubsidized phones at full price online without being able to test them wasn’t a draw to the Americans accustomed to getting cheap or free phones with a two-year contract. Apple’s strength in moving tens of millions of iPads is its chain of 360 retail stores, where people can play with the tablet, purchase it outright, and get it serviced. The Android ecosystem lacks such an infrastructure and Henry Blodget opines that if Google is serious about selling Android tablets, it should consider a similar strategy. Also, buying an iPad doesn't require a two-year data contract, unlike some Android tablets that are tied to such deals in order to push their pricing close to Apple’s tablet. Amazon, however, proves it can sell millions of Kindles with an online store only and a $200 tablet based on Android – although it's locked out of Google services and app store and substitutes Amazon’s own services. If Google is indeed chasing this strategy, then a $200 7-inch Google-branded Android tablet stands a good chance, but Google may have to cut too many corners in order to be able to price its tablet so low. After all, Amazon is selling the Kindle Fire at a loss, hoping to profit from subsequent digital sales and subscriptions made via the tablet.